Anyone in the Market for a MacBook Air or iMac? 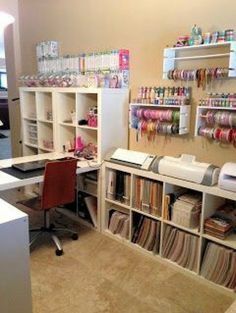 This being a scrapbooking site and all, it makes sense that I usually talk about one of my favorite places to online shop called Scrapbook Steals. 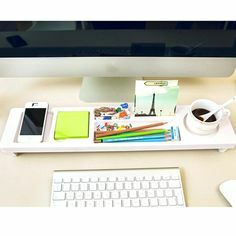 But I saw that one of their sister sites called She Steals had something you might also love, so I thought I’d share. They have some awesome specials for Labor Day Weekend – over 30% off on MacBook Air latops (Saturday only) and iMac desktop computers (Sunday only). 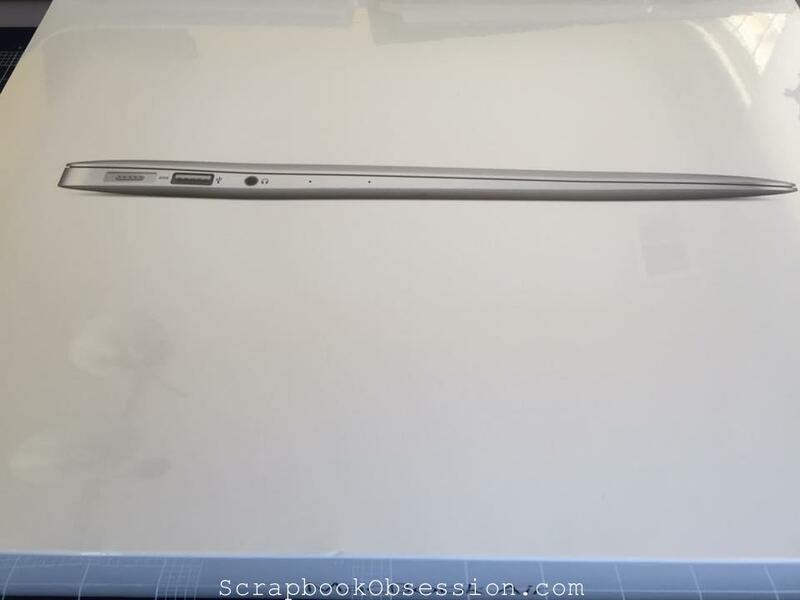 In April, I bought a MacBook Air and shopped around a LOT (I’m a total bargain hunter). But Apple products are notoriously difficult to find discounts on. The best I was able to find was $100 off during a holiday sale at my local Apple store. I’m absolutely in love. I had an ancient MacBook Pro 17 inch that was my workhorse for 10 years. But it had started overheating so I had to use a laptop desk with a fan, which made it even bulkier (for a laptop) than it already was. I hardly used it because of the hassle and was pretty much chained to the iMac in my office. My new Air is soooo much lighter and portable (well, duh! AIR!) and I find myself using it constantly. I now work from the couch or bed, a coffee shop by the beach some days, and even take it on trips so I can write my book from the passenger seat. 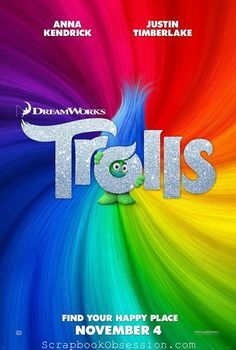 I blog from it, read the scrapbook boards, and cruise Pinterest for scrapbooking ideas. 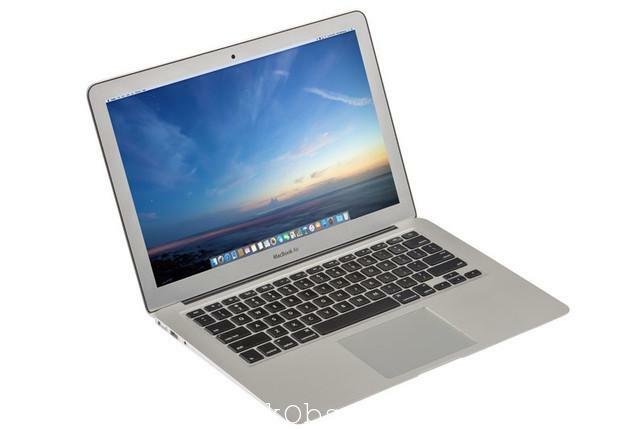 That’s why I wanted to share the love and let you know about the MacBook Air sale today at SheSteals.com . My other computer is an iMac that I use daily for work – another amazing computer. 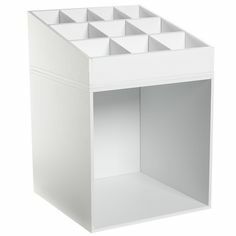 Those are on sale Sunday so take a peek at SheSteals.com then if you’re interested. “The New Rules of Scrapbooking” Free for Kindle – Limited Time! 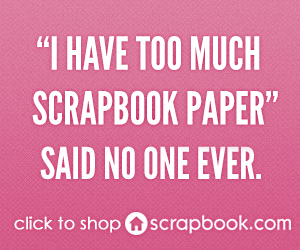 Yippee, there’s a new book about our favorite obsession … erm, HOBBY … scrapbooking!! It’s called “The New Rules of Scrapbooking: Crafting with Your Photos Can Be Simple” by Jennifer Wilson from Simple Scrapper. It’s only 60 pages long so I’d definitely pick it up while it’s FREE. You can get it here. 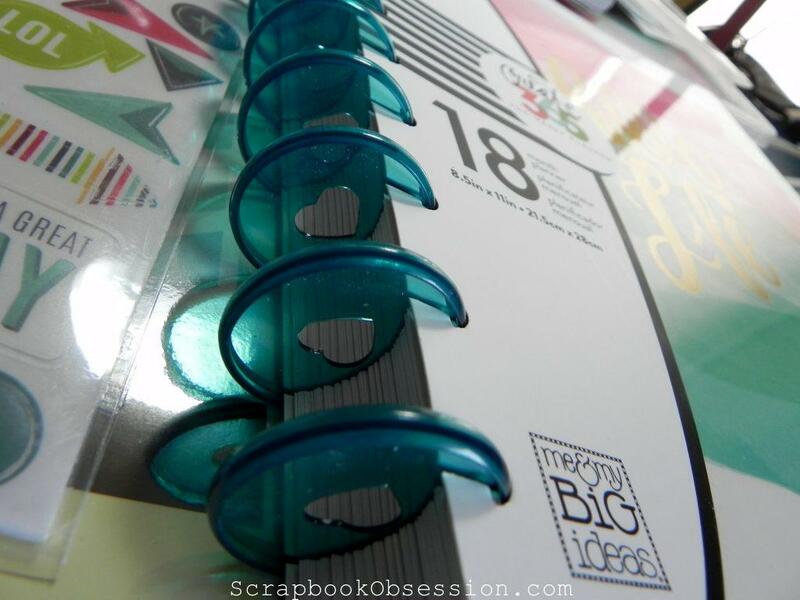 Would love to hear your thoughts on “The New Rules of Scrapbooking” if you get a chance to read it! 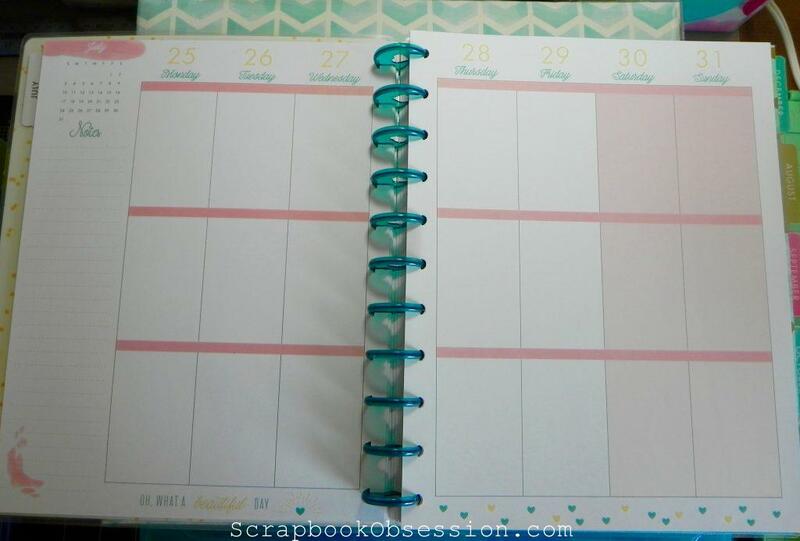 As you saw in my last post, I recently bought the MAMBI Happy Planner at Michaels (reg. $34.99 minus 30% off coupon = $24.49). It’s the 8.5 x 11 version, not the more popular smaller one that you’ve probably been seeing everywhere. Not only are the binder discs my favorite color but they also have my favorite shape: HEARTS! The first 2 pages are 2016 and 2017 year at a glance, then starts the 18 monthly sections. Here are a few of those intro pages, where you see a variety of designs on the right, from quotes to very designed pages to very open ones like the first one, where you can have a ball decorating or journaling. I really like the “Currently” section for each month, since that’s something I always mean to scrapbook or track but then never do. Here, it’s right in the day planner – can’t forget it. 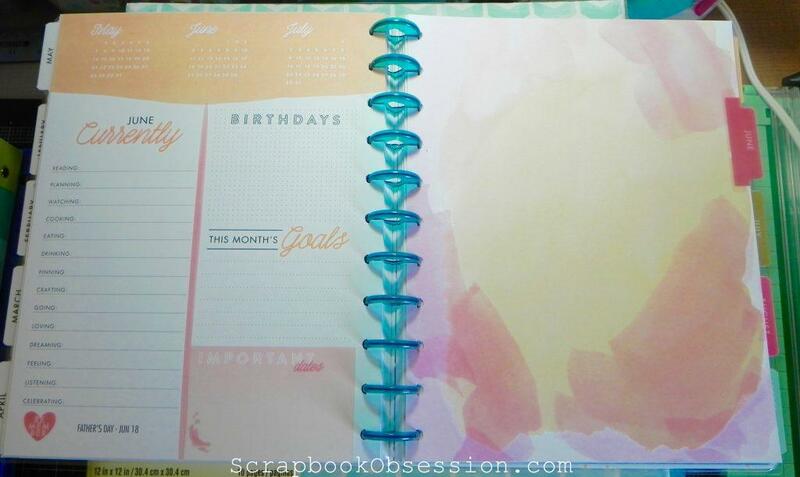 After each monthly intro page, there’s a month-at-a-glance page with room for notes; in my current day planner, I used the monthly pages for bill tracking and budgeting and would keep doing that in the Happy Planner. Then there are 4 or 5 of these week-at-a-glance pages, depending on how long the month is. I like that each day is sectioned into 3 boxes. You could use that for morning, afternoon, and evening. I’m thinking of using it for personal, work, and blogging/e-learning. My hold-up is that I have large handwriting and this might be too cramped for me. Dang :( I’m not a “planner girl” who does this for fun and creativity. I use my day planner FOR REALS. Like, it gets down and dirty, people. Family events, business deadlines, client launches, sports schedules, and more. So anyway, that goes on for 18 months in the same format. There’s nothing extra in this planner except for a blank page at the very back for more notes. 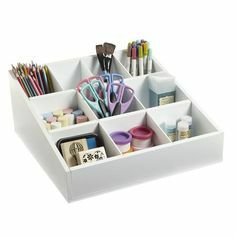 It is quite hefty so I understand why there’s not more included, yet I want to add more pages to make it useful for me. I didn’t see any extra pages at Michaels that I could buy separately. When I got home, I checked online and nada. Lots of extra pages on the MAMBI site HERE but they’re all for the smaller sized Happy Planner. 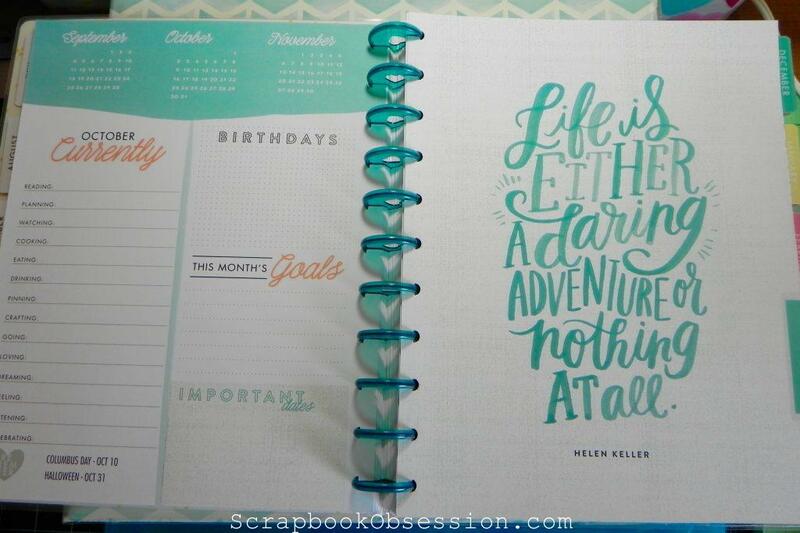 @ScrapbookObsess: I just got the 8.5×11 Happy Planner. What can I use with it? Everything seems made for the smaller size. Punch, extra pages? @ScrapbookObsess: ETA on the bigger punch? I’d like full size pages so I’ll make my own or look for free printables. Thanks! So that’s another strike against keeping this planner, at least for now. My plan was to insert pages for notes, keeping track of blog and work goals, exercise and diet, and projects. Yes, it’s already bulky but because of the snazzy binder disc system, I can take out pages I am not currently using or am done with to thin it out. So I’m undecided for now if this is the planner for me. I may end up returning this one, then trying again in January when hopefully the larger punch is available. Thanks for reading!